Produktinformationen "Boenicke Audio W11 (1 Paar)"
Einen überragenden Test der W11SE+ (Image-Hifi 05/2017) finden Sie hier. 10″ long throw flat carbon fiber honeycomb bass driver, tuned to 27 Hz, first order crossover. 6″ custom-made woodcone bass-midrange driver, 1st order low pass filter, no high pass filter, ash tree phase plug, magnet structure force fit mounted to the whole wooden mass of enclosure. 3″ custom-made widebander, 1st order high pass filter, unique electromechanical parallel resonator installed. Bass level adjustable in 2.5 db increments using a custom-made super high quality autoformer. Added electromechanical parallel resonator to bass-midrange. Added proprietary phase linearization network. Added electromechanical series resonators to widebander and bass-midrange driver, all parallel and series resonators of STAGE II type. 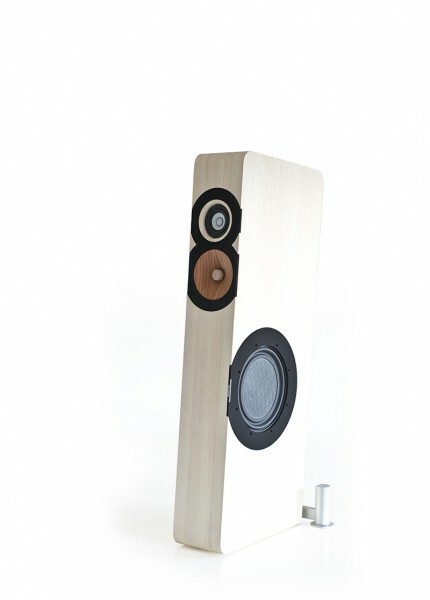 Added Steinmusic Speaker Match Signature. Added Harmonix Tuning Bases to widebander. Mundorf Silver Gold Oil main capacitor for widebander, Duelund Silver Foil 0.01 uF bypass capacitor. Choose from walnut, ash tree and cherry. Oak upon request. 105 x 16,1 x 39 cm, weight approx. 25 kg per piece (depending on version and wood). Weiterführende Links "Boenicke Audio W11 (1 Paar)"